Sony showed off 17 whole minutes of Guerilla Cambridge’s Killzone: Mercenary gameplay at last week’s E3, and that video has now been unleashed on the world at large. The video also features insight and commentary from art director Tom Jones. 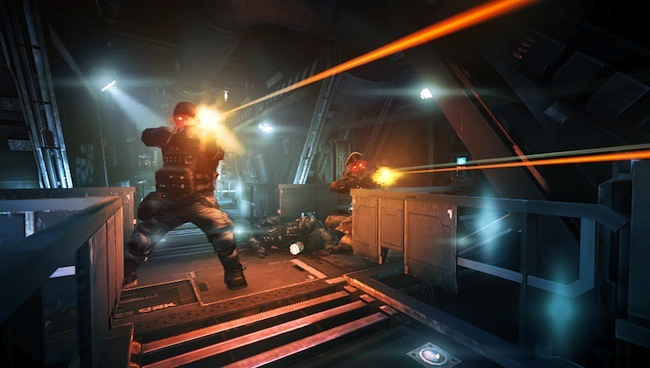 Killzone: Mercenary is a first-person shooter releasing for the PlayStation Vita in September. The side-story will take place shortly after the events of the original Killzone, released way back in 2004 for the PS2. The game will also revisit events depicted in other entries in the franchise from new perspectives as players take control of a mercenary with no qualms about taking on contracts from either side of the conflict, whether they be ISA or Helghast. The game will utilize the Vita’s touch screen and rear touch panel for gameplay. Does the footage pique your interest for Mercenary? Why or why not? Let us know in the comments.